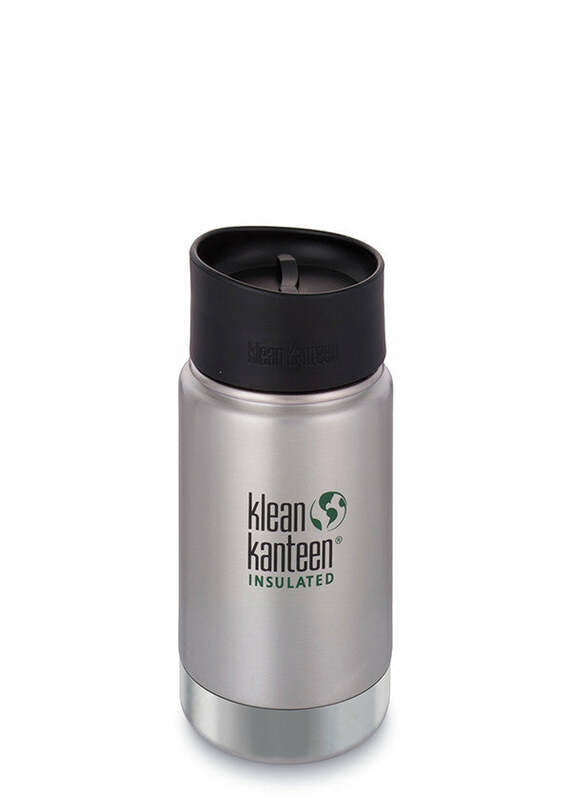 Compact and efficient, the 12oz Wide Vacuum Insulated Kanteen keeps contents hot up to 6 hours, and iced up to 24. With a double-wall, all-stainless interior and no liner, flavors don't linger and cleaning is a cinch. The leakproof Stainless Loop Cap gives you peace of mind if you want to toss it in a bag or lunch box. Adding a Café Cap converts this bottle into an awesome to-go mug. Our leakproof Café Cap 2.0 won't leak or spill—and turns any Insulated Wide product into an instant to-go mug. Throw it in your bag or stash it on your bike, now it’s even easier to Bring Your Own hot or cold drinks anywhere you go. Made from BPA-free polypropylene (pp#5) and food-grade silicone, this cap is safe for use with acidic or hot beverages. The flask is able to keep warm for several hours and the leak proof Cap works well! It would be a five stars for me if the flask was wider and shorter.